To say that the process of moving can be a lot easier said than done is something of a dramatic understatement. There are a huge number of factors that you need to concern yourself with, from the time table that you’re currently limited by to your budget and everything in between. Picking the right Raleigh movers is certainly one way to limit as much stress as possible from the proceedings, but it isn’t just as simple as calling the first number in the phone book and hiring a company. It requires a great deal of thought and research to make sure that you’re not only ending up with a company that actually can move your things, but that the company and its employees will take excellent care of everything while your items are in their care. 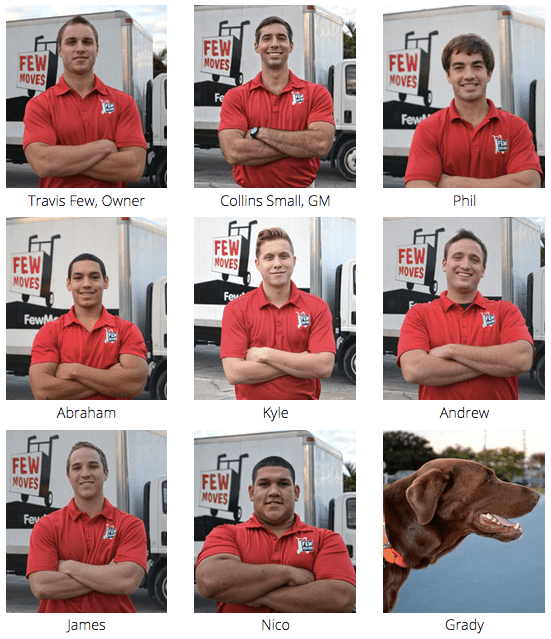 At Few Moves Moving Company, we do everything in our power to make sure that you never forget that your items are just as important to us as they are to you. To prove that, one of the services that we offer involves a free on-site moving quote for your convenience. We won’t “guesstimate” how much your move is going to cost. We won’t quote you one number and then hit you with overages, surcharges and hidden fees when the big day finally arrives. We’ll send a trained professional out to your home or business to go over every last detail. Need our Raleigh NC Movers for packingor unpacking? Storage? We’ll include that in your free moving quote as well. Our Raleigh movers free moving quote will not only give you the most accurate possible indication of what you’re going to spend, but also how long the move is going to take. More than that, it will tell us how many of our “Clean Cut Movers” we need to send on the big day to help things go as efficiently, as smoothly and as safely as possible. We take pride in our work and we want you to have the peace of mind that comes with knowing that everything you’ve worked so hard to build over the years is most certainly in the right hands, both literally and figuratively.